It is difficult to gain a mass audience for a topic like the global water crisis, yet the #RunningDry campaign got over 1.6 billion organic media impressions, including coverage from ABC, Bloomberg, CNN, The Times of India, Washington Post, Fox News and hundreds of others around the world. 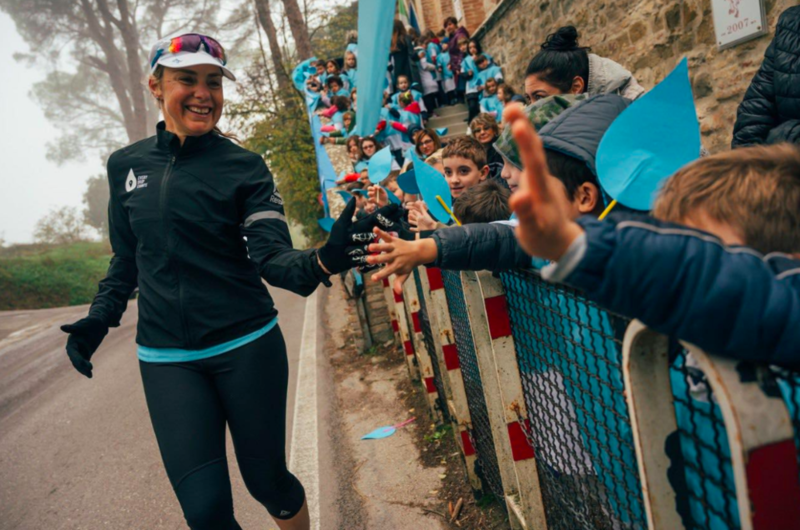 The campaign centred around Mina Guli, CEO of Thirst, a leader who uses the sport of ultra-endurance running to get people engaged in water saving. 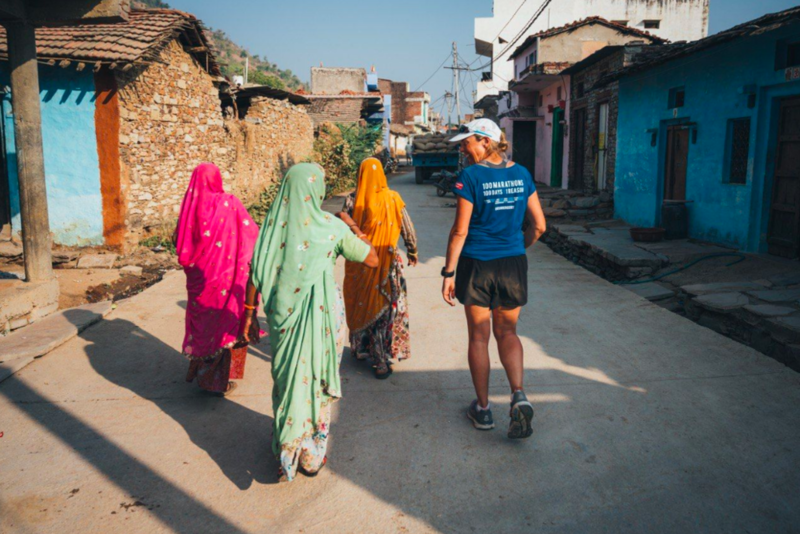 For #RunningDry she wanted to run 100 marathons in 100 days, while travelling to places that show people the affects of the global water crisis. 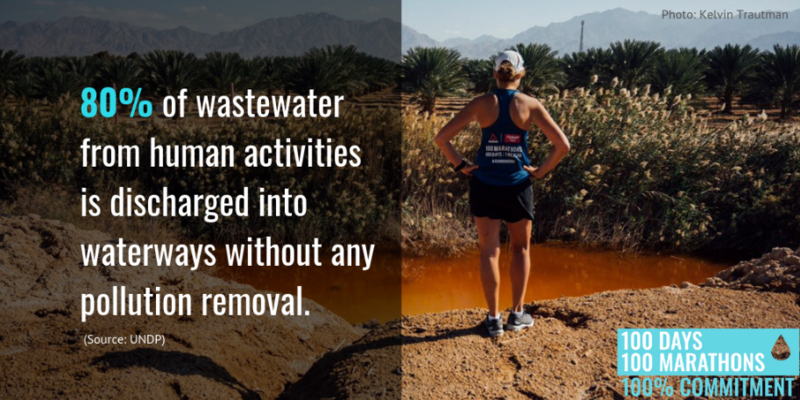 Running is used as a trojan horse to bring the issue of water into people’s news-feeds. Combined with adventure travel, world class photography, and real-time storytelling it is a brilliant way to get people engaged in an issue they may not otherwise be interested in. The first thing about the #RunningDry campaign is that it didn’t go according to plan. Mina set out to run 100 marathons in 100 days, but at marathon 62 her leg fractured and she could no longer continue running. 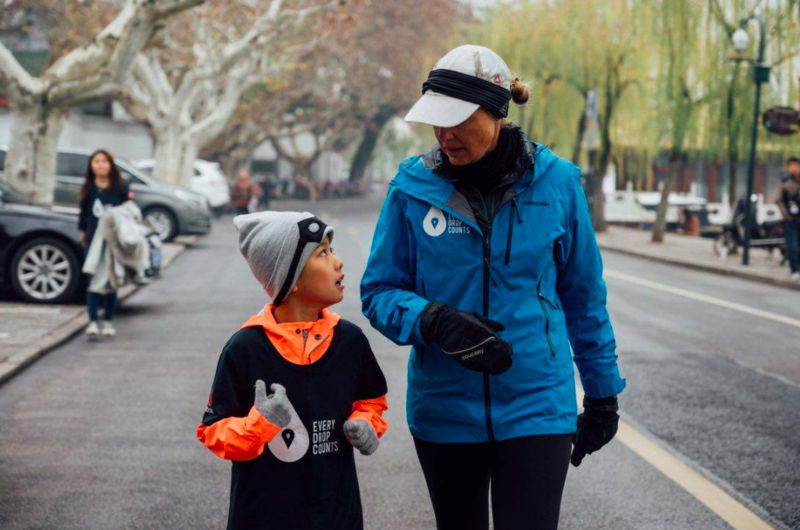 This could have ended the campaign, but instead become the defining moment and the story we used to activate a runners around the world to lace up their shoes and join us in spreading awareness of the global water crisis. Improvisational theatre practitioners operate with the maxim that “everything is an offer” - and this is true in social campaigning too. When you set out to achieve something so big that it scares you, you can be sure that not everything will go according to plan. The difference between success and failure is how you respond to unexpected opportunities. In order to sustain interest and build momentum over 100 days, it was really important to develop a content plan with built in surprises, highlights and spectacular images. Mina would be travelling with photographer Kelvin Trautman, and videographer Jared Paisley, so the first task was to find places for Mina to run that told the story, and would look good on camera. We also identified “water heroes” for her to meet along the way, and created infographics with key facts and tips about invisible water - the water that is present in our food and clothing without us even being aware of it. Production is one thing, gaining attention is another. A campaign on this scale needs teams with local media contacts. Four international PR consultancies were hired to support the campaign - Fenton in the US; Fleishman Hillard in China; Frank PR in Australia; and Bubble Communications in India. Kelly Burke was placed as our global media coordinator to manage the agencies, work the in-house list built up over previous campaigns, and to deal with the incoming media requests. The other challenge was logistical - figuring out workflows with a team who at any one time would be scattered across the globe: from Hong Kong to Australia, South Africa and the USA. This would not have been possible without our brilliant and accomplished chief of Staff, Melanie Ho. At last, on November 4th 2018, we plunged headfirst into a thrilling adventure with Mina. The team travelled far, and fast, with Mina running a marathon every single day. This sounds crazy even without the travel in between, but they travelled literally around the world - starting at the New York City Marathon before heading off to run across Europe (UK, France, Italy), Uzbekistan, India, China, Hong Kong, Dubai, the Middle East (Jordan, Palestine, Israel) and South Africa. She then headed to Australia before crossing the USA and finishing her 100-day journey back where she started in New York on the 11th of February 2019. What this meant, logistically, is that often Mina would fly to a new country overnight, do media on arrival, drive a few hours to meet a water hero, and then run. A whole marathon. This kind of travel is not cheap, but was made possible by headline sponsors Reebok and Colgate. To quote a New York Times piece about the campaign. “Guli, 48, is part of a class of runners now picking up sponsorships the same way top-level runners coming out of college do. They won’t be winning the Boston Marathon or Olympic medals, but they offer something that shoe brands want to be a part of at a time when the top of the podium isn’t the only spotlight… Reebok and other companies are going after unique narratives they hope will inspire people. With engagement growing, our focus on narrative, influencer partnerships, and community engagement was really paying off. By this stage Mina’s accounts had grown from around 10 000 followers to around 50 000 followers in the space of two months, we’d had respectable media coverage online, on radio, TV, and print. By all accounts it was going excellently. Around marathon 50 Mina began walking her marathons, and they were taking more than 12 hours a day to complete. We decided to cancel her Ethiopian runs, as the relentless travel was also taking a toll. She came to South Africa and took an MRI, which verified what the whole team had feared: Mina had multiple stress fractures in her femur. Mina revealed this to the #RunningDry community in an honest video and series of photographs that many supporters said was a refreshing break from the airbrushed perfection of social media. She spoke to them person to person, sharing her vulnerability and despair at being injured. While this was unfolding, Beaufort West, a town in the Western Cape of South Africa, literally ran dry. As terrible as this was, it was an opportunity to show the world what we were saying. Limping along, Mina joined local disaster relief organisation Gift of the Givers on the ground to donate water to the residents. It was a heartbreaking and powerful few days, and we told the story far and wide on local and international media. And then, Mina couldn’t go on. Mina ran 62 marathons in 62 days, but on day 63 she was told by doctors that if she ran any more she would never run again. In fact, the fractures had grown since the time of her first MRI - she ran so hard she broke her leg. As devastated as she was, we knew this was story gold. And so we kept asking the question “How does this make things better?” - an important question to consider in almost any crisis. A few of Mina’s supporters had commented on her injury video, saying they wished they could run a marathon for her. We took this community led idea as our strategic cue, and realised this was how we would turn crisis into opportunity. This was the point in the hero’s journey where the mentor would be needed to guide the hero through the transition. Lewis Pugh has played this role for both Treeshake and Mina and we asked him for his advice and support to help us all through this transition in the campaign and the story. He met Mina at the hospital and advised her that it was time to let others pick up the baton. Starting off with a team run, we introduced the idea of Mina’s supporters completing her daily marathon for her. There was a lot of discussion about the dynamics of how we’d track success, and it was decided ultimately that we wouldn’t ask people to run full marathons but rather tally up ALL contributions - whether 1km or 100kms in a day. Our team worked hard to make sure every single person who contributed distance to #RunningDry felt validated, and noticed. We replied to every comment, reached out on DM to thank people, and shone a spotlight on the community who was not only doing Mina’s distance for her, but also sharing water facts and helpful tips along the way. To incentivise and acknowledge the community we also provided a daily tally of miles, posted on Twitter, which listed every person who contributed and ranked their distance. This proved to be a key motivator for people who contributed, as they knew that every extra mile they put in was being counted and made a difference in showing the scale of our movement. Kilometres poured in from all over the world, with the biggest running day logging 1800km for #RunningDry (42 marathons in one day!) It was then that the next dream was born: Mina set out to run 100 marathons in 100 days for water. What if the #RunningDry community could run 100 marathons in 1 day? We started working on the idea - reaching out on DM to anyone who had contributed miles and asking for their support in the challenge, creating a special page on Mina’s website explaining exactly what to do, adding a pop-up so that anyone who visited the site would know about the marathon attempt, setting up a folder of easily shareable infographics on Facebook and punting the message that we could only achieve this if we all worked together. On Sunday 27th January 2019, we attempted 100 marathons in 1 day, and we were blown away. Mina’s vision for the 100 marathons in 100 days #RunningDry campaign was simple: to make saving water famous. Just over 2 weeks after announcing her injury on social media, the vision became a reality with #RunningDry becoming a worldwide movement. As of midnight on the 27th of January, 251 marathons had been logged: an incredible distance of 10,629.3km. People donated kilometres from 44 different countries and territories - from Antarctica to Sweden, Mexico to Japan, Australia to Serbia and everywhere in between. Supporters logged distances from 1km to over 50km, in temperatures from -15°C to over 40°C, in deserts, snow and in forests. 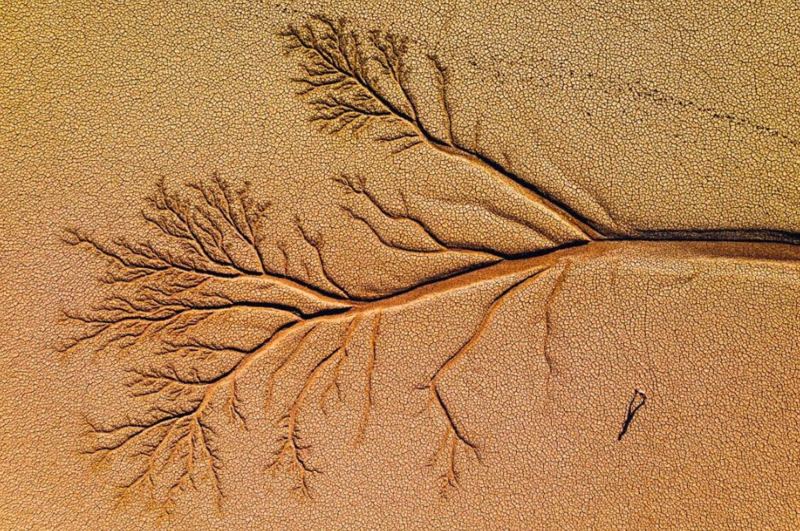 People ran by rivers and others by oceans and waterways. Some ran in cities and on tracks. Some ran in groups and others on their own. 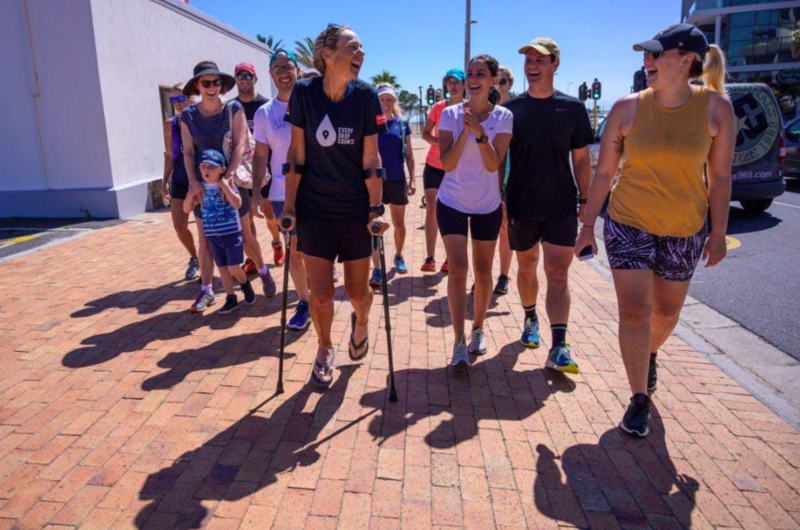 But every single one of them donated their miles on Sunday to support #RunningDry and help drive global water awareness. The reach of this campaign has been phenomenal. Press releases were picked up in more than 200 online, in print, TV and radio around the world. The total online audience, according to Critical Mention, is 1,590,084,059 and growing daily. The estimated media value is currently sitting at over $100 million. What has been even more gratifying is the rapid growth of the community online. Mina’s social media pages have gained 232,506 new followers and fans throughout the campaign - with 24,830 new followers in just one week building up to the #RunningDry marathon. That week also totalled 424.6k impressions on Twitter (in 1 week!) and Instagram engagements were over a million (1,109,576) as of January 28th 2019. Videos posted during this time have been watched 40,000 times - 10 times more than videos earlier in the campaign. With the global #RunningDry marathon on 27th January, hashtag usage spiked due to the global community engagement. On Sunday, #RunningDry on Twitter had a reach of 1.4 million and garnered 3 million impressions. Across platforms, the hashtag was used at least 1,525 times in the previous week. That’s almost as many times as the previous three weeks combined. There was an outpouring of positive comments and water facts shared on Sunday for the global marathon. Users from around the world took to social media to share why they were running for water. Most notably, influential supporters Peter Gleick and Esteban Bullrich (from Antarctica) participated in the global marathon. These two alone had a combined following of 614,000 on Twitter. Finally, in April 2019 the United Nations selected the campaign as a top 3 finalist in their annual Sustainable Development Goals Action Awards. Footage from the campaign and the community is being edited for a documentary to be released in late 2019.